I went to Sweden for a year and stayed for two. 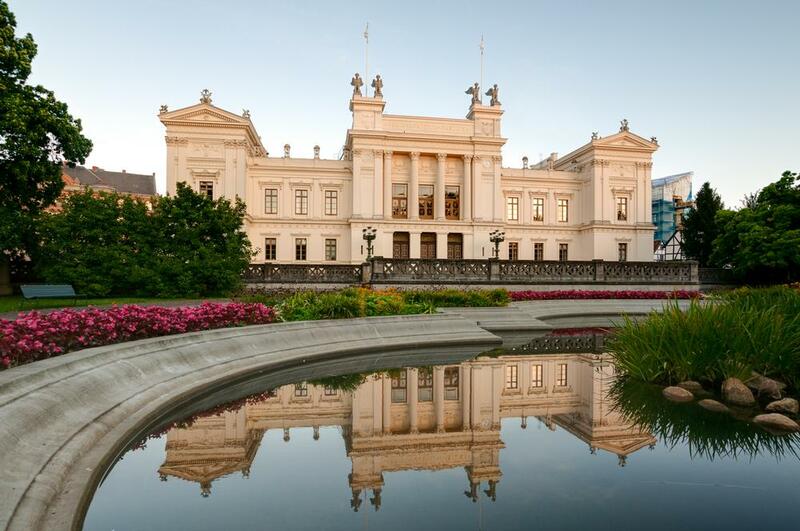 For those who have not read my previous post, I received a PostDoc grant from Finnish Cultural Foundation to go to Lund University for 12 months invited by Prof. Jan-Eric Ståhl. I flew to Lund via Stockholm and Malmö on Thursday, 15th of September 2016. Prof. Ståhl came to pick me up from the Malmö airport that is about 10 km from Lund. I was lucky to get an apartment directly from Prof. Ståhl, since Lund has overheated real estate markets, and it is difficult to get affordable apartment. The Ståhl-estate is two large farmhouses located on the outskirts of the city centre. 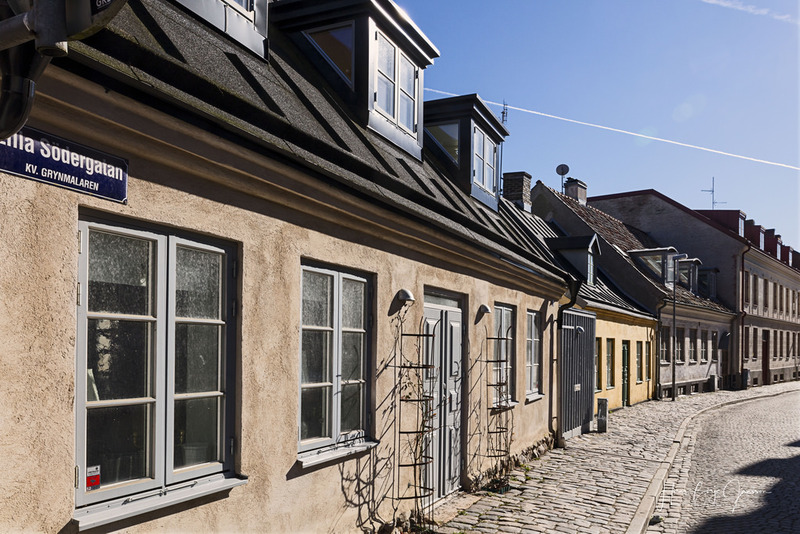 One of the houses is renowated to three apartments, that are inhabited by international staff of Lund University. Lund is a semi-small city with 88000 inhabitants, out of which students and university staff make over 50% with 42k students and over 7000 staff. The most surprising thing was that I experienced no cultural shock whatsoever. The food was the same as in Finland, with one exception, everything was more sweet. Old Lappish saying came to mind, “suolanen ja sakia on köyhän suussa makia”, that translates that “salty and thick is poor mans sweet”. The similarity in dishes made me realize that Finnish culinary culture is completely loaned either from Sweden or Russia. Well, since Finland is not officially part of Scandinavia, one could say that we are part of Scandislavia. The language was more or less manageable even though the Skåne accent was difficult to understand. The other international staff in Swedish language courses praised my “allmost perfect Swedish”, this was in the second introductory course A2, and the other students asked me how long have I studied Swedish, and my reply totally depressed them, when they realized that my actually quite horrible Swedish is a product of 11 years of studies. One of the Finns I met in Lund who had stayed there for a while, said that it takes two years to understand Skånska. One thing that I read before I moved to Sweden, was expat experiences from Sweden. It seems that despite Finns’ reputation of being closed and difficult to befriend, Swedes are even more difficult. Based on the Expat Insider 2017 (and 2016 for that matter) Sweden was ranked the worst of 65 countries in ease of making friends. (Finland was 57th) Don’t get me wrong, Swedes really are more friendly and extroverted, but they are even more private, when it comes to letting someone new in their circle of trust. 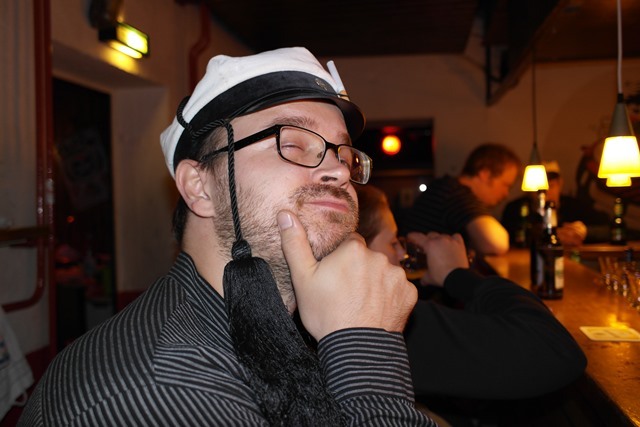 I ended up being friends with other international staff members rather than Swedes. As I said, I didn’t experience any cultural shock, the city had Fazer’s bakery, the local grocery stores had Valio dairy products and even mämmi was sold during easter. Only thing that kept my life from being complete was, well, what else but Sauna. After trying out the lukewarm saunas in gyms or hotels, I decided to order a tent sauna from Savotta, that immediately after delivery made me the local crazy person. Well, it was completely worth it. Research culture in Sweden had some differences compared to Finland. The research was at the same time more professor centered, but also individual researchers had more freedom to conduct the reserch as they see fit. The thing I was impressed and what I will import back to Finland as well was that everyone from master’s thesis workers to lecturers were applying funding constantly. Master’s thesis workers who managed to get a project, got a PhD position. PhD students who got projects, got more responsibilities and freedoms. The total funding pool gave the research group much more agilitity to venture in new research areas and international collaborations. Another thing that was surprising was that there were very multidisciplinary personnel in the lab. Physicisists, chemists, mathematicians and engineers. That brough a lot of depth and girth to the research, that showed in my personal track record during that time. My research output was total of 9 papers in the two years, and in addition I have enough experiment data for 6 more papers to write. I managed to secure a two year postdoc position from Aalto University (135 applicants for 5 positions), so I was able to continue my research undistrupted right after I moved back to Helsinki in September. 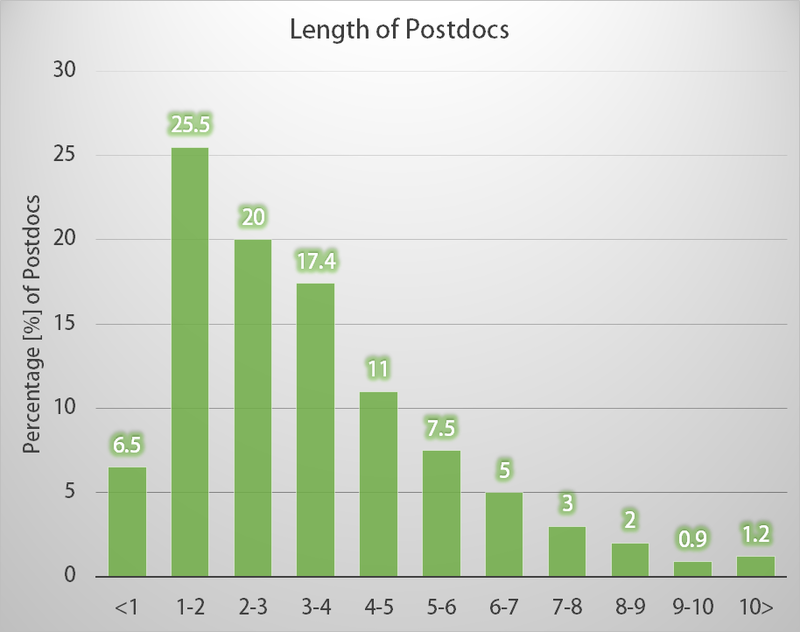 Now that I have done my elementary level postdoc, I can see that I am among 30% of graduated doctors, who have manaaged to stay in academia but not yet secure a permanent position. My publication history starts to look more and more impressive, and now only thing that stands between me and a permanent academic position is funding, that I need to show to the academia, that I am able to attract. My extended year 9/2018-12/2019 in Aalto will show the final verdict whether I have what it takes to stay in research career. Agmell, M., Bushlya, V., Laakso, S., Ahadi, A, Ståhl, J-E., Development of a simulation model to study tool loads in pcBN when machining AISI 316L. Int J Adv Manuf Technol 2018. doi:10.1007/s00170-018-1673-y. Despite the dark clouds above Finnish academic horizon, my personal future still has some hope left as I received a post doc scholarship from Finnish Cultural Foundation for 12 months in Lund University in Sweden. I started applying for the post doc in January 2015, when I received an invitation from professor Ståhl in Lund. After 15 months and dozens of applications, I finally managed to secure the funding. I have to admit that I was starting to lose the hope of getting funded, but in the end, it was the quality of the application that I had to improve to get accepted. 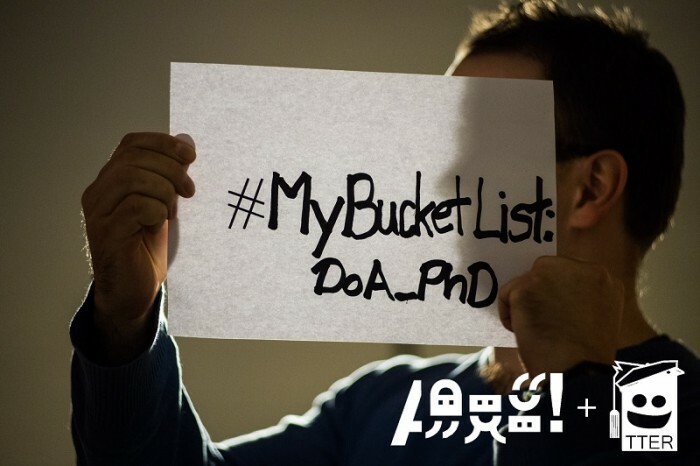 It could be that I was a bit arrogant at first, because I had received nearly all of the grants I had applied for during my PhD. I understood that I still have to give my 110% to stay on the game, especially now that I am competing with other already graduated doctors. 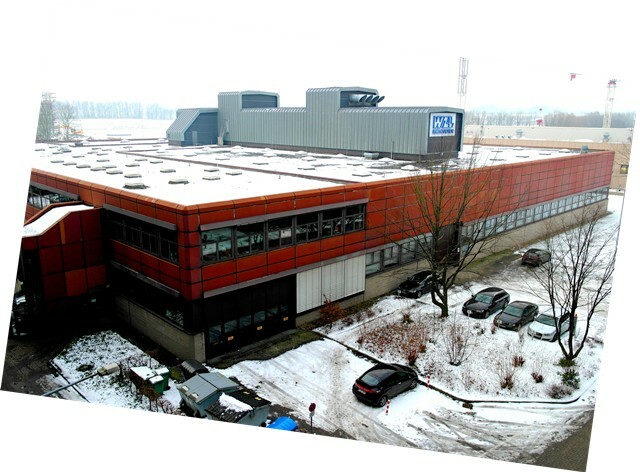 I will start my post doc period in September working on energy efficiency of metal cutting in the Faculty of Engineering, Laboratory of Production and Materials Engineering. I would expect that the whole experience will be quite educating and challenging in both personal and academic levels, despite the fact that I have previous experience on living abroad. When I was in Germany for 6 months, I was in PhD student exchange, so it wasn’t as much of a challenge as going abroad as independent researcher and this time for a one full year. Even though I am advancing in my career in the most high-flying manner, I have never before been in a situation where I can’t see further than a year in my future. The academic system of producing PhD’s in a mass and setting them loose in the world to see whom of them can fly has been criticized by many in academia. 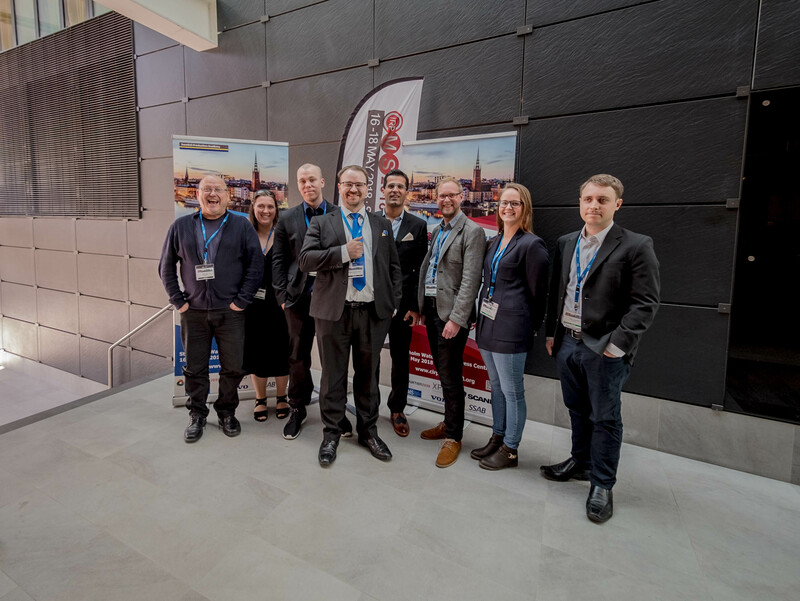 The major difficulty in Finland is that beyond academia, there are only so many positions that require research degree and the industry has not started to take an advantage of the resources available. The Finnish Government has been bashing the reputation of academic researcher with condescending comments about the academic work ethics, motivation or lack of impact on GDP and at the same time cutting academic funding directly from Universities budgets and indirectly from the funding of Finnish Academia and industry collaboration fund TEKES. In September I will say goodbye to Otaniemi Campus, where I have spent more than 1/3 of my life so far, and start trying my academic wings on my own. I don’t know what will I do after my time in Sweden, probably another post doc tour in some other university, and if and when I come back to Finland, but I hope the attitude towards academics in Finland will change for better by then. Not to end with a rant, I have to add that I am extremely excited to go and work in top ranking university in a field of my interest and that I have already been given the opportunity to do a PhD and continue even further in academia. With some luck, the hard work will be paid off in the end, but I still have much work before I can even think of settling down somewhere. 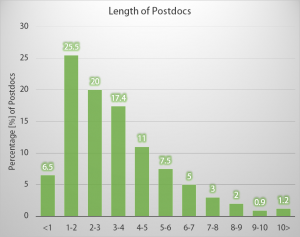 The post doc length expectancy is 3.5 years calculated from statistics, so I guess that is ahead of me as well. Academic career is a point cloud of objectives: applying for graduate program, finishing the mandatory courses on time, first conference presentation, first journal paper, compilation part of the dissertation and finally the defense. It is not a linear function and running in circles is not unheard of especially when one is in a frenzy to meet the deadlines. Even though the objectives are marked with points in time, one has to remember that it is still a function. There is something between the dots. Hard work for sure, self-doubt, triumphs and setbacks, but more than that, there should be life. I myself have grossly mistreated my life outside of the academia spending more time in the laboratory, over what is said to be healthy or even productive. Now few weeks after my defense, (that went exceptionally well, thank you for asking) I find myself writing articles, post doc applications, project proposals, supervising a master’s student on his thesis and trying to fool him to continue for a PhD. I am building anew the point cloud of objectives and goals. I knew I was staying in academia, but this one crucial aspect seems to have slipped past my learning: how to have a life and excel in research? I know there is an absurd amount of life coaching literature for balancing work and personal life, enjoying the moment or living fast and slow. Honestly, I call that rubbish. I am certainly not the only one in academia who struggles with these issues, but then again, there are those supermen or women, who run a marathon a month, have a beautiful spouse and family, have a side job in their own consulting company and even keep themselves well groomed. Most of us don’t have superpowers. I have a feeling that these issues might sprout from the soil of academic principles, especially this new competitive business like academia, where researchers are constantly being criticized, belittled or being totally dismissed even by their own government. Working in this environment might destroy self-esteem, or cause people to bolster it in unhealthy ways. “Check my H-index” has never worked for me as a pick-up line. Could working senseless hours be a side effect of sense of insufficiency? I find myself thinking too much of the future, when I graduate, when I get the post doc, when I get the professorship. Well, what else can I do? In the present, my salary gets me fed but not much past that, my working contract doesn’t look good if I applied for a loan for an apartment, the chances of getting a tenure position are not that great, (but maybe in five years, you know) I have limited mental energy left after work, be that too much or not and having a PhD doesn’t even make you pretty for crying out loud. New government policy aims in decreasing the costs of education by 600M€. Most of the savings comes from secondary schools, but 125M€ savings comes from higher education, specially masters degrees. This has significant effect on university operations. First of all, introducing third semester for summer months is supposed to have effect on graduation times. Though I can’t see how this creates any savings since teachers and professors will have to be paid for teaching during these extra months. Second, students will get less practical training in companies and they will be less competent on graduation. Finally, this is in direct contradiction to the policy that government will also cut the student allowance, since most students are working especially during summers to support themselves. Ok, instead of falling into despair, I have thought of few solutions how this can be beneficial to all. First, more practical training ETCS credits should be included to degrees. This way, summer time can be used in both, studying and earning money and experience. Second, bachelor’s thesis should be done in summertime, 10 ETCS points covers one whole semester, and one can work also during that time. Similarly, most of the independent project based learning courses should be moved on summer. This way, the total study time could be squeezed into maybe 4 full years and the cuts in student allowance doesn’t have significant effect on monthly earnings. This wouldn’t effect too much on the workload of teachers and professors during summertime. Also one thing to point out here is that summertime usually is not a vacation for university personnel, because that is the only time when we have undisturbed time to do research work. One thing I am most curious is what the government is going to do to research funding, but that is a topic for later discussion. As I have been participating in Aallonhuiput Ry, the doctoral students association in Aalto, better part of a year now, several issues have come up. I have tried to define the balance of myself as a student and as a faculty member, and I have to say that doctoral students don’t fit too well to neither. When I first started my post graduate studies, first complications were with my former classmates which suddently became my students. I tried to balance between the role of teacher and a fellow student with no remarkable success. After few years I managed to balance somewhere between controlfreak slaver and easygoing TA with not too much interest in students learning. Nowadays I think that my reputation among students is more or less positive, even though the old stories are still inherited by new students. Even the learning results have gone up a bit. Nevertheless, I found myself not belonging to the student community anymore. Neither was I part of the faculty since I’m just lowly fixed-term TA-doctoral student. (TA = teaching assistant) With time, that role also has grown to the point that I have quite much faculty responsibilities and my own course as well. But in normal case, I would graduate in half a year, but since my TA-contract, my doctorate will wait atleast few years more. So the learning curve to fit myself somewhere between student and faculty, lasts usually longer than one has time for graduation. One other thing I felt as a slap to my face was to lose all the student benefits. Especially the health- and dentalcare. Though healthcare is arranged for the students in working relationship to the Uni. Not for the students working part time in industry. But busses, food, trains, basically everything went up 100% since the student reduction is usually half of the market price. Ok, I can accept that too since I earn quite a more that when I were pre-grad. But still, even student housing is off-limits for doctoral students. That makes a huge hole to my budget especially in Capitol City area. Aallonhuiput actually managed to get a small nod towards us from the Student Union of Aalto University, a note to the housing rules were added, that in such a case that there is a free apartment and there are no-one else in line for that apartmet, then it is possible for doctoral students to apply to it. Funny thing was that even for that small change there was lots of resistance. But I give it to them, we make more money than they do. Our expenses are also much higher, and we tend to be also quite a lot older, many of my fellows with children add to them mix. One special group I would like to see to have atleast some extra benefits are the international students. They have already come to Finland. The most frakkin’ expensive country in nothern hemisphere. (I know, Norwegians, shut up) So, atleast for the internationales, housing would be nice handshake when they come here to add to the critical mass of top reasearch where Aalto is aiming at. 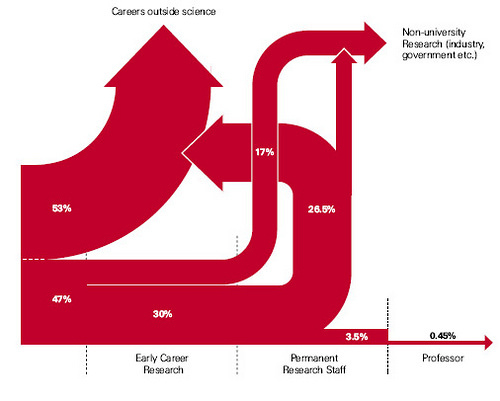 But of the role of doctoral students; EUA and other organisations driving the Bologna process and the coming third cycle of it, have decleared doctoral students to be professionals at the early stage of their career. Ok, I accept that, I’m pro. Hopefully someday the University management realizes that too. I have seen some attitudes towards students growing more and more hostile recently. I dunno if it’s the financial situation around western counries or what, but this should change. But let’s not go there. 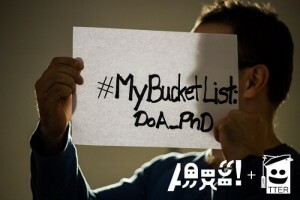 The point for this blog is to ponder the role of doctoral students in student community. Well, atleast that hostility towards students brings pre-grads and doctoral students closer together. That is one point I’m hoping to make. There should be more collaboration in the interest representation in all of the levels of studentship. But to create atleast some level of trust, there should be also some social connection. I’m hoping that someday, Aallonhuiput as an organization works together with AYY in good spirit. Post grads could play the role of mentors in not for the freshmen, but for newly appointed master’s students. We could work as middlemen between faculty and pre grads. There are lots of possibilities. And I have to say that we’re really not that old we oft seem to be. We still like now and then to have a great student party, if our endless pile of work allows us. One always can pile that higher and deeper (PhD) as the old pun goes. One thing I believe to bring post grads closer to the student community is to formalize the membership of doctoral students in student union. Aallonhuiput would play a role of guilds in that sense, and that would bring us more members and better grounds for working as an association. What else, what do you think, how doctoral students should show around campus and outside of it? Role of doctors in society and industry, well I don’t have too much to say about that, except that there are not too many positions for doctors outside of universities or fields of education. This is something that should be considered, and it has been, atleast in European level, but situation in Finland is still quite vague. I don’t want to go there yet in my thoughts, so everyone in their own private minds can start thinking what are we going to do with the increasing number of doctors in Finland? Last night in my dormitory apartment. Flight back to Finland is on Wednesday morning. Half a year went like on wings. Time really is relative. My feelings are mixed; I love to get back to home and get on with my life, but also I will miss all the wonderfull people I have met here not to speak of the German culture and beer. I really have to get back on my excercise routine to loose all the extra souvieniers. In the end, what have I experienced, is really one of the most memorable time of my life so far. Working in really high status laboratory in Werkzeugmaschinen labor has showed me totally different academic culture, since the laboratory has 750 employees and 5 professors and extremely good laboratory equipment and support staff. Also during my ti me here I have attended my first conference in Porto, Portugal. The FAIM13 was good opportunity to see what the manufacturing research is all about nowadays and also even better chance for networking. I see that energy efficiency is in high demand also in manufacturing research. Also my extracurricular activieties, like visiting 9 countries in 6 months have really opened up my eyes for cultural differences but also to the fact how well things are still in Finland. I really hope that we can keep up with the good work as University and as society, to preserve what have been already acomplished. It is easy to complain if one has not seen how things are elsewhere around the globe. As I was quite old for my first exchange year, I can from the bottom of my heart say to those who think exchange studies are wast of time, that they most certainly are not. I remember once overhearing two students in student diner discussing how stupid it would be to go for exchange since it just drinking and fooling around and not really getting ones own studies further. I dont blame them for their views since the pressure of studing and graduating in time is high in Finnish Universities nowadays, but still, the things one can accomplishe while in exchange more than pays the extra year. And for real, who would not want an extra year in University? Go for exchange, see the world and most of all, don’t submit to the man. So I came to Germany. It took me about ten days to adjust to the new environment. There are many things in common with Finland and some are totally different. My first contact was on thursday 17th when I arrived, and herr Dipl. Ing. Puls came to pick me up from the Aachen Hauptbahnhof. The first thing to do was to go for few beers, Prost! Most of the research group was there to greet me! Have to say that I’m bit ashamed how we in Finland greet the newcomers. I realized that speaking German is quite a bit easier after few beers. The local stuff is called Kölsch and is served usually in 2dl glasses. Not quite like in Octoberfest, but gut Bier anyways. The people from the lab were friendly, even though I had some difficulties remembering their names, but I have a system now. International names are a bit tricky to absorb. The city itself is very beutiful and has old buildings like churches and castles and quite a few more churches. Oh, and the Finnish coat of arms, the retarded lion, is everywhere around here. Also in Luxemburg, but their version looks like it were dancing Gangnam style. 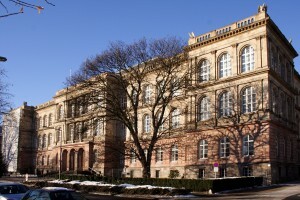 The Uni is huge, especially the machinenbau, the local mechanical engineering department. My working place is in werkzeugmaschinenlabor (machine tool laboratory), which is about ten times bigger and with somewhat 20 years younger equipment than the Aalto equivalent. They have about 10 5-axis machine tools and one 800k€ broaching machine that would be perfect for my cutting tests. And it will, during my project that was assigned to me. Sorry, that is all I can say about that, for it is secret. (quite practical huh? when my professor asks what did I doin Germany, I can just show him the confidentiality agreement) Though having huge lab, some 200 reserchers/staff has a downside, there is few months waiting list to get to use the machines. Ah, and the working hours, I as everyone else got to go to the lab between 8-8:30. That will take me some more getting used to. The reserach group is active in both official and unofficial matters, like bowling, bar nights, fußball team etc. In a week, we are going to Köln for carnival that is said to be crazy. There will be real Finnish Santa running around… But for the research group, the exchange is well organized on their part, of that I’m glad! I have also been trying to get to know people here besides the fellow scientists, and with that the Erasmus program has been a huge help. There is practically something for every evening and the students are outgoing and tolerant even for old nasty Phd students such as me. There is even polite co-living in the dormitory. Though sharing a kitchen and some toilets and shower with 16 other rooms was a bit culture shock at first to distinguished Westender like me. Nah, really it is quite fun! But besides eating cup noodles and schnitzels, I try to improve my German and taste the international new lifestyle… ah and not forgetting the beer. Yeah, that’s right. I’m going to Germany. Aachen to be exact. The land of production expertise and quality. 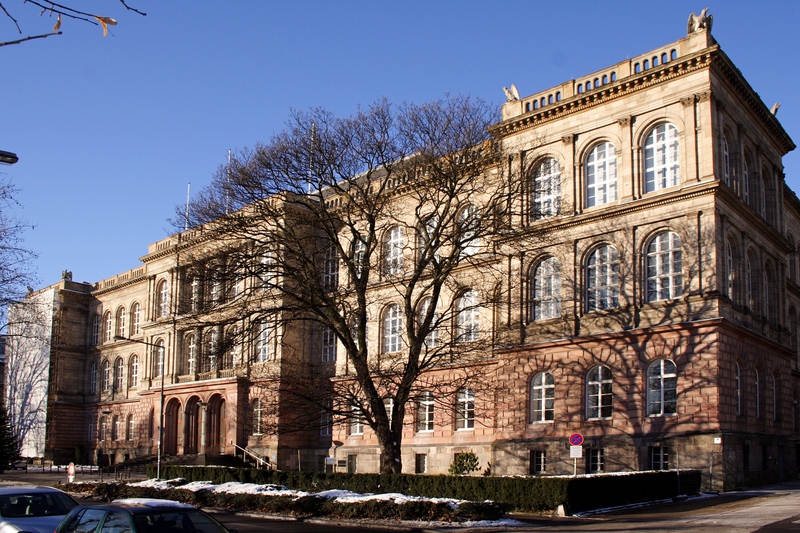 Engineering students dreamland, RWTH Aachen is ranked in top 40 of engineering universities and the Werkzeugmaschinenlabor, the laboratory of machine tools and manufacture, is the best in the world in my field of research. My process for acquiring an exchange place and other related issues has been quite educative, but not the easiest one. Exchange for doctoral candidates is not very well organized or instructed, at least not in ENG. I found some information from INTO, a portal for students in Aalto, but mostly it was for master’s level students. Thankfully my professor had some experience on going to exchange, so he gave me some tips; contact the professor in charge of the research group you wish to be in, get funding from various foundations in Finland, usually international endeavors are well supported, and start preparations a year beforehand. I did as I was told; sent 7 applications around Germany during January 2012, (don’t ask me why there) and got replies within 2 months from each. Some places I had to push a little, to get reply. But, reviewing the invitations, (yes, that’s what they are called, even though you have invited yourselves) I ended up with the one from RWTH Aachen, Prof. Dr.-Ing. Dr.-Ing. E.h. Dr. h.c. Dr. h.c. Fritz Klocke. He was actually the professor who wrote recommendation for my professor for his professorship to HUT, back in the days. But now I had a place to go, so all I had to do is arrange all the practical matters. Just for curiosity; in Germany, you are supposed to use all the titles of a person, even in spoken language.. I’m terrified for the obvious reason. I have heard from my colleague candidates, that doctoral exchange is not necessarily very well organized in target universities either; students are abandoned to some cellar with PC and instructions to do “something related to your research”. Often there is no orientation or even possibility to take part in language courses. I asked from the target university if I get permit to undergo courses while being there and is there a chance to get apartment from university. No and no, I would have to apply for student in there to get them. Oh, but it’s so easy for the Erasmus students.. wait a minute.. And so I went for the international office of ENG, and got myself an Erasmus stipend to Aachen, apparently it is perfectly OK for PHD students to apply for Erasmus exchange too! So, I got permit to take courses, to have an quota apartment, take part to orientation and even the small stipend for exchange! Ausgezeichnet! 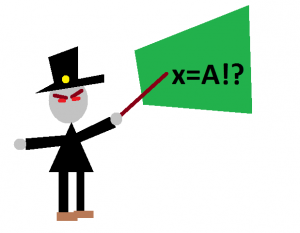 Funding… the curse word for all researchers. I applied from three different foundations for full scholarship to my exchange and miraculously against all assumptions got them all. Really I had to turn two of them down because they were overlapping, but really, it seems that funding to go international is easy to get! Though one thing should be done carefully, and it is the research plan and application for the funding, never underestimate the power of the formal side. Ok, it wasn’t that hard… but just because I had good support from my professor and our international office and colleagues. This is something that we have already discussed in Aallonhuiput, the PHD-students organization in Aalto, that every faculty or laboratory has their own networks and practices for PHD-exchange, and not always it is as easy as it was for me. It’s going to be wonderful 6 months! At least I hope so. Paul Midler has written a book about China’s production scene; “Poorly Made in China”, which has gained a lot of publicity. Midler has graduated from the University of Pennsylvania in Economics line “The Wharton School.” After graduation, Midler moved to China and has done production consulting for Western companies. In his book Midler tells about his experiences of China’s production game, which is a completely different world compared to Western-style business culture. Finnish parliament workshop suggested to integrate 266 municipalities (FIN: kunta; compare; State) into 70. This means in the capital city area that Espoo, Helsinki, Vantaa, Kauniainen and Sipoo will integrate into one big city. What this means for University scene? 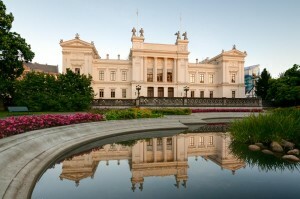 In capital city area, we have two big Universities, Helsinki University and Aalto University. Also there are Universities of Applied Sciences, Theater Academy, Sibelius Academy etc. Hey, lets integrate Aalto and Helsinki University! Lets integrate all the rest too, then we’d have two giants, Top Universities of Helsinki Integrated (TUOHI) and Helsinki Applied University (HAU). Then we could outsource all the bachelor level studies in HAU and then continue Master’s studies in TUOHI. Wow! Ok, enough sarcasm. But I think that this change is going to make difference also in University scene, just can’t image yet how.